There are nail art that are being popular, which are Girls Generation gel nails. Among the celebrities, in Girls Generation there are 9 members having all different concept of nail art so grabs the attention. They would do nail art from looking modern to bling bling. In case of Tiffany, she have her nails done really fancy and glamorous. Tae Yeon have elegant and feminine nail arts. So many customers would do their nails simple yet giving some points. One of the customers in Cool Nail brought Jessica’s nail art and wanted to do like her. Once there was a trend in doing initial necklace. Doing in gel polish, it would last 1 to 2 weeks. The letter was I LOVE YOU in white color on pink base. The colors are very lovely and feminine. There are so many different shades of pink color and from particular color, the mood changes. Also picking the right color matching the skin would look even great! She wanted the initial to be same as Jessica’s nail. The thumb was not showing so had to do with an imagination. 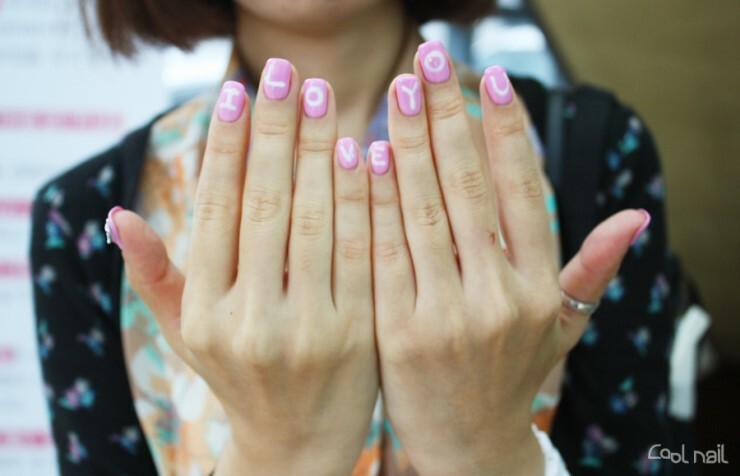 Appling the heart nail pat goes well with the letters on the nails. The initial letter would be your boyfriend’s or any on what you feel like on that day. Could you see the spangle on the letters? This avoids the boring feeling and makes the nails to shine better at any angles. Doing initial letters are for to satisfy her instead showing it to someone else. So the directions of the letters are towards herself is better. If want to show it to others, can do vice versa. Pink color is pretty and if you want to give more chic style try with black color. White initials on top of black would look better. You could choose other color but might blend in and doesn’t show. So always remember to go with opposite color. Initial nail art can also be done as pedicure. It’s better to give point on the thumb. Putting on the other toes might not look like a letter so it’s better to do on the big thumb. A word would look nice even than a single letter. 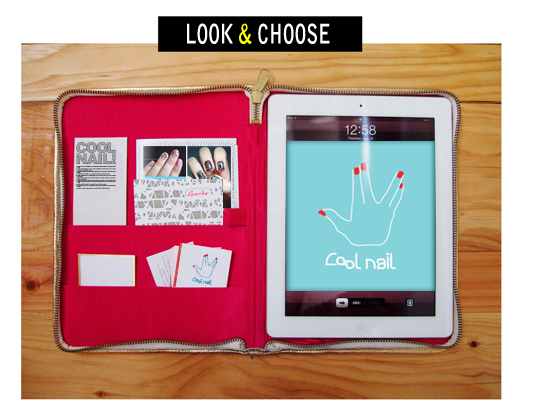 Professional nail care system with great technique in doing SOAK at Cool Nail.